We invite you to an evening of happy hour priced drinks, a chance to meet our team, and learn more about the Foundation. 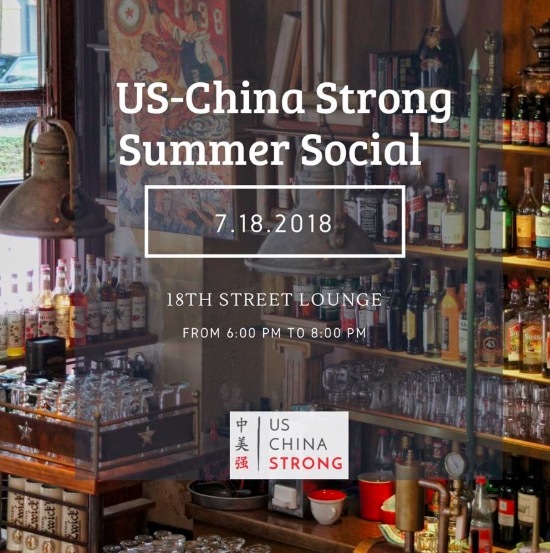 This will also be a great time to network and mingle with individuals in the D.C. area who are interested in China. We hope to see you there! Cost: Attendees responsible for their own drinks. Happy hour specials all event long! Questions? Contact us at admin@uschinastrong.org or (202) 903-0746.